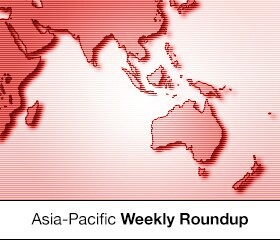 In this weekly segment, ExchangeWire sums up key industry updates on ad tech from around the Asia-Pacific region – and in this edition: Effective ad metrics sorely lacking in Singapore; Zeotap raises Series A for global expansion, Indian centre; China’s iClick acquires mobile ad platform; AdNear takes out the Ad; and Ogilvy opens up in Brisbane. Senior marketers in Singapore rate the level of sophistication of digital ad measurement at just four out of a possible score of 10, which would have put it on par with the most advanced markets. A study by the Interactive Advertising Bureau (IAB) Singapore also found that measurement on mobile platforms was singled out as the biggest gap that would need to be plugged in the near future. IAB said the research was based on 25 in-depth interviews with selected marketers seen as ‘leaders’ in the Singapore digital marketing industry, as well as an online survey of 50 marketing executives from brands, publishers, and agencies. The study unveiled a lack of understanding of digital measurement techniques in Singapore, where 64% of marketers needed help to improve their use of such metrics. Some 50% also found it difficult to extract accurate results from existing measurement practices as a result of data silos and lack of integration among their data sources. In addition, the availability of essential resources was deemed to be wanting. Some 76% noted the lack of case studies specific to Singapore or Southeast Asia, while 64% pointed to the absence of benchmarks that provided context and enabled them to gauge campaign success. 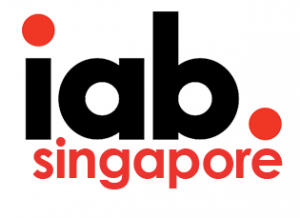 In the IAB statement, co-chair of its Singapore Measurement and Standards Committee, Peter Hubert said: “Digital marketing is still relatively new in this region and with technology evolving as rapidly as it is, we’ve unfortunately fallen a little behind in tracking and measuring our efforts. “In fact, 88% of survey respondents said the metrics they used were not effective enough in measuring campaign performance against business objectives. This needs to change if we are to prove the value of digital in the boardroom– it is the medium of the now and the future, after all,” said Hubert, who is also Asia-Pacific head of insights for LinkedIn Marketing Solutions. IAB noted that while marketers clearly needed better technologies and standards to enhance their understanding of mobile tracking, measurement, and cross-platform attribution, there was “a lack of urgency” among industry players to resolve this issue. The mobile data platform provider has secured US$6.4m in Series A funding, which will be used to drive its global expansion and grow its technology facility in Bangalore, India. Zeotap works with publishers and SSPs, specialising in the telco space, where its clients include European and Asian market players. The ad tech vendor is looking to beef up its headcount at the global technology centre in Bangalore, which is headed by vice president of engineering Ameya Agnihotri, who was previously from Airpush where he helped develop the SSP for PubMatic. Zeotap co-founder and chief product officer, Projjol Banerjea, also will be moving to Bangalore to oversee the company’s expansion in India. The latest funds injection came from a group of angels and existing investors, including Capnamic Ventures and Iris Capital. iClick Interactive Asia has bought out OptAim Technology in a move to bolster its cross-platform marketing capabilities in China. Financial details were not disclosed in the deal, which involved shares and cash, but iClick said Beijing-Based OptAim in January had raised US$10m in Series A and operates a mobile programmatic platform that supports more than 500 advertisers. It also connects to a pool of local web publishers that includes Tencent, Taobao, Sohu, and Toutiao. 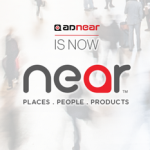 The Singapore-based mobile data analytics platform AdNear has rebranded simply to ‘Near’, as it looks to broaden its market focus. 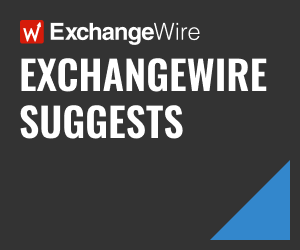 The company said dropping the ‘Ad’ in its name underscored its focus on extending the use of location data beyond targeted mobile advertising. Near had made its debut two years ago by helping marketers create location-based ads, but now it provides real-time or custom audience insights and measures offline attribution. Near recently launched its Europe operations, with the opening of its London office. The media agency’s Australia outfit has expanded into Queensland where the group’s digital agency JuniorCru, which is based in Brisbane, will be merged into the Ogilvy business. Collectively called Ogilvy Brisbane, the Queensland branch now has a staff headcount of 40 and supports the agency’s clients based in the state. It also will work with the group’s Melbourne and Sydney outfits, according to Ogilvy. Vine added that the agency group was hoping this now would change with its presence in Brisbane.